Pixel Perfect. Google's first internally developed Chromebook since the original CR-48 has made headlines for its novel specs. Does the dense 12.85-inch 2560 x 1700 resolution 3:2 IPS display really deliver an unmatched experience? Find out in this review how Google has managed to conceive the best, if not most unorthodox, Chromebook to date. For most people, however, the major issue will be the price. The Chromebook concept makes a lot of sense on cheap, lightweight hardware, but at £1,049 the Pixel competes with "real" Ultrabooks and Apple MacBooks, making its limitations hard to forgive. What is a reason to own the Pixel, then? Simple: to enjoy a top-of-the-line Chrome OS experience with all the amenities you could ask for. The device's hardware quality and design, keyboard and trackpad, speakers, and display add up to make a wonderful overall user experience no other Chromebook can match. Still, we understand what has led the majority of reviewers to label the Pixel the sexiest notebook no one should ever buy—its utility still falls far short of a full-service laptop. At the same time, there are a lot of a people who think the Tesla S is an impractical, overpriced electric car, too. There are a few reasons to get a Chromebook Pixel. One, you are a Chromebooks fan and you can get your money worth just from the user experience. Second, you plan to recycle the hardware and run some other Operating Systems. Third, you buy it as a collector item. 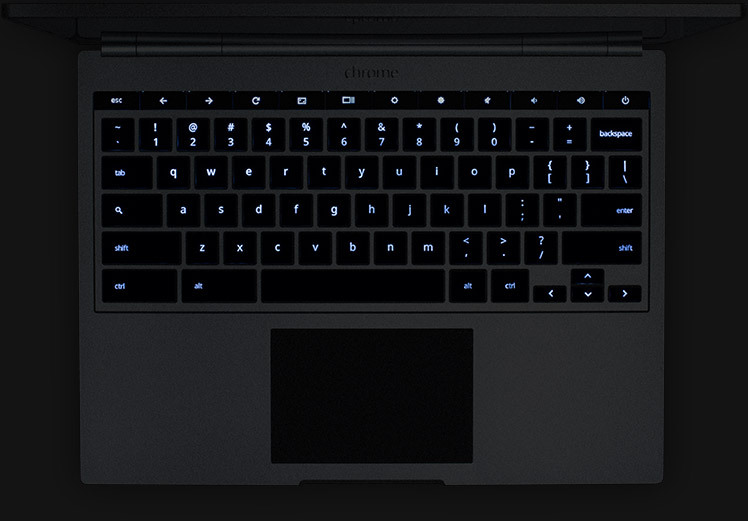 I do not see any other hardware manufacturers, beside Google, to come up with another high-end laptop Chromebook. Unlike Google, they do care if the product sells or not. The Chromebook Samsung 3 price range is the about right value. I could see a “high end” Chromebook around $500ish. Do you think Google would come out with a improved Pixel, HiDPI display, Haswell and a bigger battery capacity? Something magical happened during the course of this review. I know many of you have been waiting for it, and we apologize for the delay. But truth be told, it was worth it. I’d already spent a few weeks with the Pixel when it entered the bowels of Anand’s lab to have its display characterized. I used that time to put together much of what you’re about to read. It's actually quite difficult to sum up the Chromebook Pixel. From a design and build quality standpoint, there is no other notebook on the market that can top it. The machined aluminum, brilliant keyboard, responsive trackpad, and class-leading touch-enabled, super-high-resolution display panel leave precious little room for improvement. There's effectively nothing negative to say about anything dealing with design. Although the touchscreen is quite responsive to commands, with touch commands being fluid, we don't really see that much of a need for it on the Chromebook Pixel. Unless Google is planning to launch a number of programs that will work better with touch, it seems more like a gimmick. Saying that, the screen is brilliantly vibrant and displays exceptional quality, and it sets the bar higher for laptop makers. The keyboard, too, is another one of our favourite features on the Pixel, as it is a pleasure to type on and thus makes us more productive. This is the best Chromebook in the world, but even within the context of rating Chromebooks, it's not perfect. When you put it in the wider context of Windows, OS X, iOS, Android and so on, it becomes even less compelling. However, while it's a little trite, Google is getting good at hardware faster than Apple is getting good at services, and the Chromebook Pixel is the best example of that we've ever seen. Apple, the world's biggest technology company, should be paying attention. 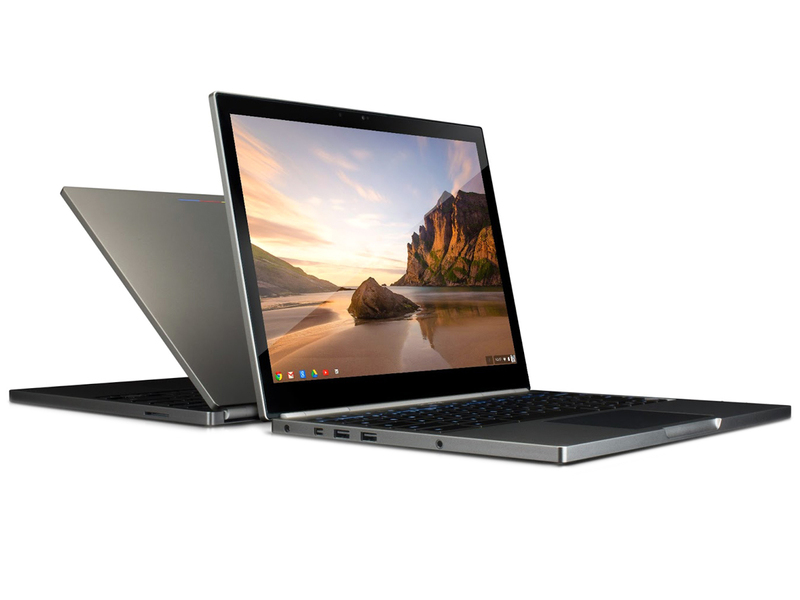 Judged on its own terms, the Google Chromebook Pixel is one of the three or four most desirable laptops in the world. The question is whether more than a handful of people will judge it on those terms.Google's Chrome OS experiment strikes off in a bold new direction with a super-premium Chromebook featuring a better-than-Retina display. It's a pleasure to use, but only if you're 100 percent committed to the cloud. Google’s new Chromebook Pixel is a tool. It is designed to handle one thing – the Web – better than any other product. And it’s successful. It renders websites with incredible sharpness, and the Core i5 processor can handle multiple tabs without breaking a sweat. As a laptop, however, the Pixel falls short. Design is middling, battery life is poor, internal storage is scant, and keyboard quality falls short. The problem is, aside from the perceived status, screen, and the added extra services, there really aren't a lot of reasons to recommend the Chromebook Pixel over, say, the 13-inch MacBook Pro (with or without Retina Display) or the Asus Zenbook Prime Touch UX31A-BHI5T. If wireless Internet were cheap, fast, unlimited, everywhere, and reliable, then the Chromebook Pixel with its included Google Drive subscription would be a decent buy at $1,450. However, since wireless Internet is not cheap and everywhere, and since the Chromebook Pixel's battery isn't all day capable, we can't recommend it over any Mac or Windows-based laptop in its price range. So just like we asked in our initial Pixel hands-on: Does Google tempt the daring? For us the answer is sadly a clear as day no, but others might feel different. It saddens me to say it but this is a Ferrari with a 4-cylinder engine. We can’t wait to see what the future holds for cloud computing, Google, and the Chrome OS, but this is too much too soon. There’s no avoiding the fact that the Chromebook Pixel is expensive. But it’s also very well made and an absolute pleasure to use. Lay your fingers on the keyboard and view the world through the Pixel’s high-resolution display and some of the anguish you might have in parting with over £1,000 will be abated. 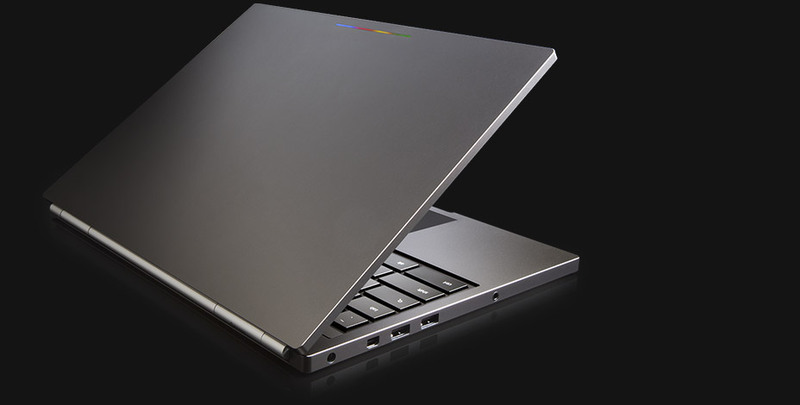 Google’s description of the Chromebook Pixel says that it’s designed to “inspire future innovation”. We can’t help feeling that there is something inspiring here, and maybe now it’s a little more difficult to dismiss Chrome OS as a Google whim. Whether others agree is key to whether that future innovation will come or not. Google calls this the product for ‘what’s next’, which rather aptly describes both the Pixel and Chrome OS. They're both built for a time when free and fast internet is absolutely everywhere, which simply isn't the case just yet. A beautiful and desirable product it may be, but the stunning design and ultra-premium hardware give way to a somewhat hollow shell within. WIRED A thoughtfully designed, expertly built, premium laptop. One of the best display and trackpad combos you can find. Verizon LTE is fast and abundant. 1TB of free Google Drive storage for 3 years. More power and speed than you need. TIRED Battery life won’t get you through a full workday. Most websites and web-based apps aren’t fully ready for touch input. Chrome OS needs more gestures support, too. Not all desktop apps can be matched in the browser. USB 2.0 instead of USB 3.0 makes no sense given the high price. 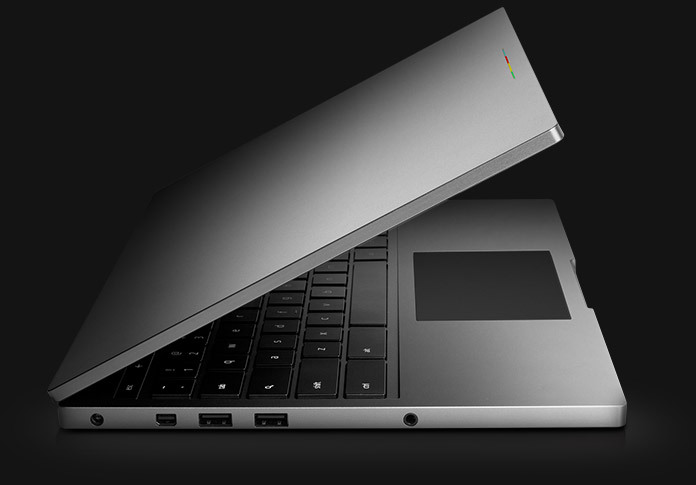 There is something refreshingly bold and modern about Google's Chromebook Pixel. The luxurious aluminum chassis, eye-popping display and ergonomic comfort outclass most traditional notebooks. Having 4G built in also meshes perfectly with Chrome OS' mission: give you the best of the Web everywhere without Windows' baggage. Personally I don’t think I’ve ever spent $1299 on a computer, and I don’t expect to start anytime soon. But I’m hopeful that while early adopters will have to pay a premium price for a laptop like the Pixel with a 2560 x 1700 pixel touchscreen display, eventually we could see the prices of these features fall… and Google, Apple, and other companies can look for other premium items to add to their high-end laptops while high-def screens trickle down to more affordable models. The Chromebook Pixel is a stunning machine, with a truly remarkable screen, a lovely industrial design and good specs – but it needs to be at such a big price, and it's going up against some truly impressive opposition. For those who love Google apps and have been waiting for something premium, this will be a fantastic new arrival. However, for those that are choosing from scratch between Ultrabooks, Macbooks and Chromebooks there are still major doubts. Again we reach the dreaded wrap-up section on a Chromebook review. It's simply never easy to classify these machines. In some regards, the Pixel is even harder to pigeonhole than its predecessors. The level of quality and attention to detail here is quite remarkable for what is, we'll again remind you, Google's first swing at building a laptop. On first impressions, there is no denying that the Google Chromebook pixel is a stunning piece of kit, whether or not it can capture the consumer’s imaginations with its premium £1,049 price tag, however, is another question. Fast, efficient, well styled and a joy to use, the Pixel is a brilliant device, that thanks to its stunning 2560 x 1700p touchscreen display is taken into the realms of the world beaters. A true MacBook rival could be on our hands. While the Pixel makes manifest our subconscious expectations of the Chromebook when it first launched two years ago, the expensive, high-end, touch screen laptop still falls short in some key areas. Yes, there's a lot to like about the hardware, but the Web-based Chrome OS just has far too many caveats and compromises to justify its exorbitant price tag. Google has revealed its anticipated high-end next-generation Chromebook, known as the Chromebook Pixel. Sundar Pichai, senior vice-president of Chrome and apps at Google, introduced the new premium Google notebook, which is pitched at the premium Chrome user, with a premium price to match. Google has absolutely nailed the Chromebook Pixel in terms of design, but the Chrome operating system still feels like it’s very much in development, and doesn’t stand a chance against Apple and Microsoft’s more established offerings. It’s far too expensive for what it is, and it’s hard to say whether it’s a step towards greater things on Google’s part or just a bit of corporate one-upmanship aimed squarely at Apple’s Macbook Air. Fingers crossed it’s more of the former than the latter, because with a more developed OS bustling with apps the Chromebook Pixel could be a real killer. Model: The Google Pixel is the first smartphone to be released officially by Google without third party manufacturers deciding on its hardware. It is equipped with a high-end camera and high performing hardware specification. In addition, the Google Pixel 2016 is the first smartphone to have the latest Android v7.1 Nougat operating system installed by default. It is powered by a quad core CPU, a Qualcomm MSM8996 Snapdragon 821 chipset, an Adreno 530 GPU and 4 GB of RAM. There are only a few high-end smartphones with 4 GB of RAM, including the Samsung S7 and S7 Edge. Hence, it is a great advantage and definitely competitive in terms of hardware specification. As for internal memory, it has two options to choose, which are 32 GB and 128 GB. The Google Pixel has no card slot to expand the memory of this smartphone, which is a disadvantage over other smartphones like the recently discontinued Samsung Note 7, LG V20, and Samsung Galaxy S7. The Google Pixel measures at 143.8 x 69.5 x 8.5 mm (5.66 x 2.74 x 0.33 in) and weighs at 143 g (5.04 oz), which is pretty normal for a smartphone in the high-end category. It is splash and dust resistant, but doesn't come with a high IP certification which is common in the smartphone industry. In fact, the phone is only able to provide protection against slight liquid spills or while using it under rain, nothing more than that. It has a non-removable lithium-ion battery rated at 2770 mAh, which supports fast battery charging and is capable of delivering up to 456 hours of standby on 3G, 26 hours talktime on 3G and 110 hours music play. There are three interesting colors to chose from, Quite Black, Very Silver and Really Blue. Really Blue is a limited color edition, which looks quite sharp and is not commonly seen from other manufacturers. The primary camera of Google Pixel 2016 features a 12 MP resolution, a f/2.0 aperture, phase detection, laser autofocus and dual-LED (dual tone) flash. It is capable of capturing 2160p videos at 30 fps. Additional features of the primary camera include 1/2.3" sensor size, 1.55µm pixel size, geo-tagging, touch focus, face detection, HDR and panorama mode. The secondary 8 MP camera with f/2.4 aperture is capable of capturing 1080p videos. As for the display, the Google Pixel features 5.0 inches AMOLED capacitive touchscreen with 16M colors, which supports multi-touch gestures. The resolution of the display is 1080 x 1920 pixels and its pixel density is about 441 ppi. The phone's screen-to-body ratio is 69.0% and it is protected by Corning Gorilla Glass 4, which can withstand minor scratches and shocks. For fast charging and data transfer, the Pixel comes with the faster, reversible USB v3.0 Type-C 1.0 port. Hence, the Google Pixel could be the best iPhone rival with the best features Google can offer without any third party interference. However, unlike previous Nexus devices, which also offered something close to this, the Google Pixel is not a cheap smartphone. 64.12%: Such a bad rating is rare. There exist hardly any notebooks, which are rated worse.